The Chandra X-Ray Telescope has found anomalous temperatures at the core of the Milky Way, but the anomalies disappear in the light of plasma lab experiments. 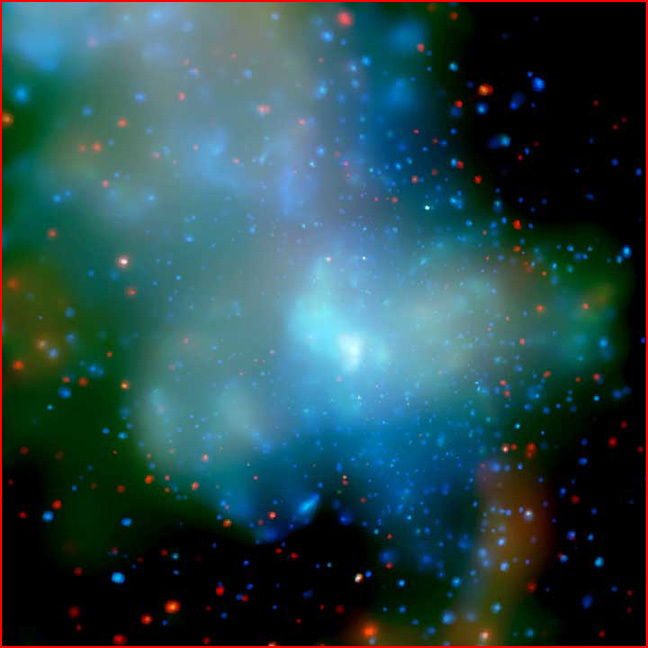 The Chandra news release announcing this new image of the center of the Milky Way said that the X-ray spectrum of the gases "is consistent with a hot gas cloud that contains two components--10- million-degree Celsius gas and 100-million-degree gas." This result was unexpected and difficult to explain. The press release describes the problem in greater detail: "Shock waves from supernova explosions are the most likely explanation for heating the 10-million-degree gas, but how the 100-million-degree gas is heated is not known. Ordinary supernova shock waves won't work, and heating by very high-energy particles produces the wrong spectrum of X-rays. Also, the observed Galactic magnetic field appears to rule out confinement and heating by magnetic turbulence." Plasma cosmologists expected temperature discrepancies, because they've seen the same thing in plasma experiments. In the opening paragraph of his 1981 monograph, _Cosmic Plasma_, Hannés Alfvén discusses some of the oddities of plasma behavior that showed up in the lab but not in the simplified theories of physicists and astronomers: "The plasma exhibited striations, double layers, and an assortment of oscillations and instabilities. The electron temperature was often found to be one or two orders of magnitude larger than the gas temperature, with the ion temperature intermediate." What Chandra has discovered is that the temperatures of plasma at the core of the Milky Way behave exactly the way they behave in plasma experiments on Earth. Some measurements show temperatures as expected, but others indicate temperatures ten to a hundred times higher. If astronomers had taken plasma lab results as seriously as they take hot gas cloud models, they wouldn't have been surprised.